In this section, you will find information on parking across all campuses at Waterford Institute of Technology for the academic year. Car parking is provided on campus for the use of staff, students, others employed on the campus and visitors to the campus. Car parking is available on the Cork Road campus from both the entrance on the Cork Road and the entrance on Paddy Brownes Road. Demand for car parking spaces on this campus often exceeds supply. The Institute must maintain emergency access routes throughout the campus as agreed with the Chief Fire Officer. To assist you with choosing a parking space please park within the white lines. Yellow boxes and double yellow lines have been placed on the roads and within car parks. As per road regulations please do not park on these areas or your car will be clamped. Please be mindful of bicycle users and pedestrians when using the car parks. A 10km/h speed limit applies to all Institute car parks. We would respectfully request that you do not park in residential areas surrounding the Institute. Additional parking is available at the RSC and the West Campus, more details below under the 'Park and Ride' tab. Security: If you need to contact Security, please telephone 087 9400888. Car parking is available from the main entrance on Manor Street. Other car parking is available in College Street from the Bunker Hill entrance. Additional parking has been made available by extending the car park in the College Street Campus. Whilst only some of this car park is lined, kerbs have been put in place to guide you when parking. For ease of use this car park has an entry and exit point. Yellow boxes and double yellow lines have been placed on the roads and within car parks as the Institute is bound to keep emergency access routes clear. As per road regulations please do not park on these areas or your car will be clamped. Please park in the bays provided to the front of ARCLabs and the TSSG building. Parking is FREE of charge for all WIT Arena members. Please ensure you register your parking space today by visiting NCPS website. Under “Permits” please select “WIT Sports Campus (Gym)” and fill in all fields. If you do not know your membership number please ask at reception, call us on 051834444 or email: [email protected] Your parking space will be registered and valid until your membership expires. Parking is FREE of charge for all WIT Staff from 9-5pm each weekday for the academic year (September through to May). Please ensure you register your parking space today by visiting NCPS website. Under “Permits” please select “WIT Sports Campus (staff) and fill in all fields. Parking is FREE of charge for all WIT Students from 9-5pm each weekday for the academic year (1st September to May 31st). Please ensure you register your parking space today by visiting NCPS website. Under “Permits” please select “WIT Sports Campus (students) and fill in all fields. Parking is FREE for all WIT Arena PAYG for a period of 2 hours (gym or class users). PAYG users can register their car space in parking Zone 1 at reception in WIT Arena. Please ask at reception, call us on 051834444 or email: [email protected] for more information. Park and ride options are available from the West Campus, see more details below. Car parking spaces are available to the front of the plumbing and bricklaying workshops and ERTC building and in the car park opposite the front of the ATB building. Additional car parking is available to Institute staff and students in the car park opposite the plumbing workshop (beside IVAX and Sunlife). Once again please adhere to double yellow lines as clamping is in operation throughout the IDA estate where the Applied Technology Campus is located. There is a vast amount of paid parking spaces available on Waterford's South Quays in Waterford City. Hourly and Weekly rates are available. Applies to ALL campuses. Disabled spaces are available to drivers holding a valid disabled parking permit. Please respect these spaces, which are clearly marked for drivers holding a valid disabled parking permit. Cars using these spaces will be regularly monitored and anyone using these disabled parking bays without a valid disabled parking permit will be clamped. Reserved Visitor car parking is available in the car park to the rear of the Tourism and Leisure Building on the Cork Road Campus. You must give at least 24 hours' notice. Estates will try to facilitate requests but cannot guarantee a space due to the limited number of spaces available. 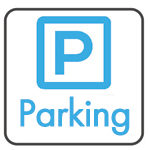 Demand for car parking spaces on campus often exceeds supply, therefore there are 2 main park and ride options available. See www.wit.ie/transport for up to date campus shuttle bus timetables. Both car parks can be used. During academic weeks a shuttle bus will run throughout each day from the WIT Arena to the Institute. This bus commences at the beginning of September, Monday-Friday and operates during semester time only. See www.wit.ie/transport for up to date campus shuttle bus timetables. If parking in Zone 1, please ensure to register your parking space (and re-register every September) by visiting the NCPS website. Under “Permits” please select “WIT Sports Campus (staff) or (students) and fill in all fields. Additional car parking is available in the RSC. During academic weeks a shuttle bus will run each morning and evening from the RSC to the Institute. This bus commences at the beginning of September, Monday-Friday and operates during semester time only. See www.wit.ie/transport for up to date campus shuttle bus timetables. There are currently 1,200 public charge points available across the island of Ireland, two of which are on the WIT Main Campus. In conjunction with the Estates Office, ESB ecars has installed two electric car charging points located in the large car park at the Cork Road Campus. Vehicles parked outside designated parking areas will be clamped or otherwise rendered immobile, until the appropriate fee is paid for their release. The driver/owner of the vehicle will be responsible for the recovery and/or clamping costs or fee set. Details of the current fee and payment arrangements will be placed on the vehicle and are available from reception during normal opening hours. Offenders may be forbidden from parking in any WIT campus. Applied clamps must not be interfered with. If you want to appeal against a clamping offence, there is an appeals procedure, details of which will be attached to your window screen. Drivers of vehicles entering any campus of the Institute are deemed to consent to the following terms and conditions of parking and driving. Staff, students and visitors who do not accept these terms and conditions must not bring vehicles into any Waterford Institute of Technology (WIT) campus. Parking is only permitted in designated parking areas within the car parks. On all roads of the Cork Road campus, College Street and West Campus unless otherwise and specifically stated by way of local signage. Drivers are responsible for any damage caused by their vehicle at WIT. Offenders may be forbidden from parking in any WIT campus. Applied clamps must not be interfered with. Vehicles remaining within any campus after 11PM may be detained within the campus at the owners’ risk until the Campus reopens and the vehicle/owner makes arrangements for release. Vehicles are parked at the sole risk of the driver/owner. The institute accepts no liability for loss or damage to vehicles or their contents while parked or detained within any WIT campus. Driving in breach of the speed limit, careless driving, driving without due care and attention, driving in a way that may endanger other persons or cause them to fear for their safety, and driving in a way that causes excessive noise are deemed to be breaches of the Institute’s regulations and may lead to suspension, withdrawal of parking privileges or other censure. Vehicles must yield to pedestrians at pedestrian crossings and obey the statutory rules of the road, speed limits and directions. Bicycles and Motorcycles are regarded as vehicles for the purpose of these regulations. During academic weeks a shuttle bus runs between campuses and to and from the WIT Arena. See www.wit.ie/transport for up to date campus shuttle bus timetables. Timetables are subject to change.